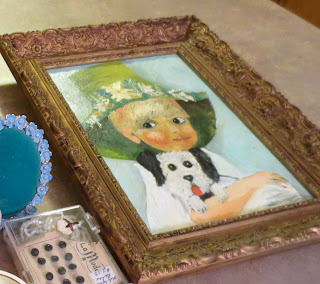 I've been looking for a pretty, ornate, vintage frame to use to make an earring display. I thought this one was just perfect! I went up to Home Depot and bought a small roll of small "chicken" wire. It only cost about $10, and there's plenty to use for other similar projects down the road. I also bought a staple gun. 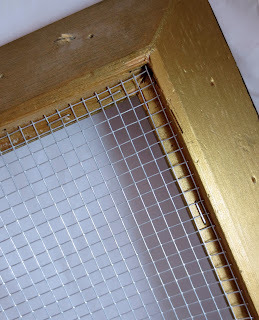 Then, all I had to do was remove the painting from the frame, cut the chicken wire down to the correct size, and then staple it onto the back of the frame. Easy peasy lemon squeezy! 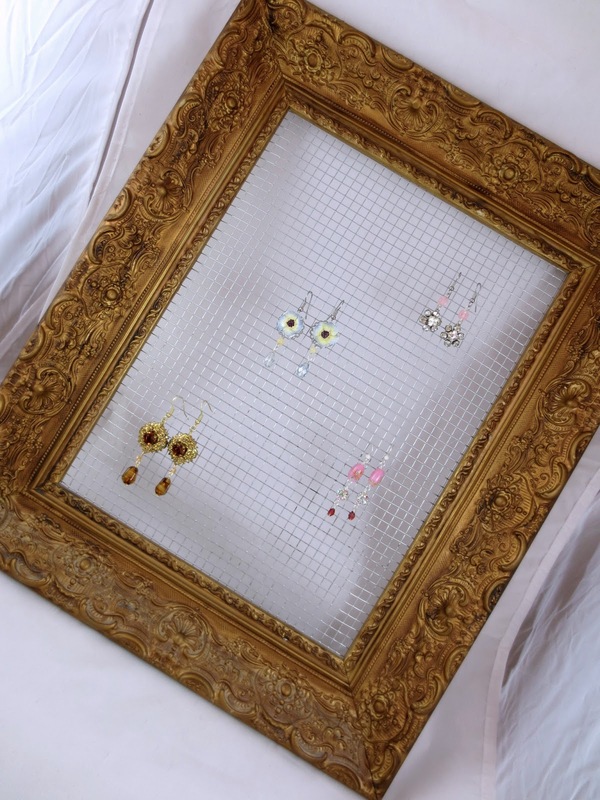 And old frame, a little chicken wire and some staples equals a fine looking earring display! Here's how it looks from the front, with a few new pairs of repurposed vintage earrings that will all be available in my ResparkableVintage Etsy shop very soon!